Claimer and the African Model is that the African does not have the water tank or de-watering screw. removable sluice has artificial turf, riffles mounted on expanded metal & 4 toggles to secure it into place. 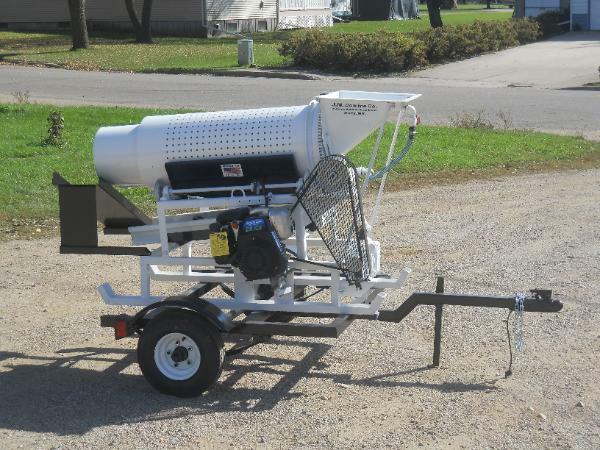 The simplicity of the African Model Gold Claimer makes it the leader in the field of small portable placer equipment. both the gear reducer & water pump using a B-Width belt. The trommel is a positive chain drive. units with our 12' Feed Conveyor.